The Mountaineers is honored to present Tom with our Lifetime Achievement Award at our annual gala on April 14. Tom and Willi’s summit of the west ridge of Mount Everest remains one of mountaineering’s greatest achievements. In 1963, Tom was a member of a sponsored expedition designed to send the first Americans to the summit of the highest peak in the world. The strategy was clear: climb the South Col route first established by Edmund Hillary and Tenzing Norgay in 1953. While summiting via the South Col was far from a guarantee, the proven route was their best chance. Tom understood the important symbolism and immense challenge of getting an American to the top. Prior to their expedition, only six people had summited Everest, while 16 had lost their lives on the mountain. Still, Tom and a few others made the case for an additional objective – an audacious new route up the West Ridge. The decision wasn’t made lightly. But after a reconnaissance trip, days of deliberation, and countless hours of strategizing, a subset of the expedition dubbed the “West Ridgers” got the blessing of the party. Tom and his climbing partner, Willi Unsoeld, would go for the summit via the West Ridge with a small team of expedition members and Sherpas helping until the final push. Ultimately both routes were a success. Jim Whittaker summited via the South Col with Nawang Gombu to become the first American to climb Everest. 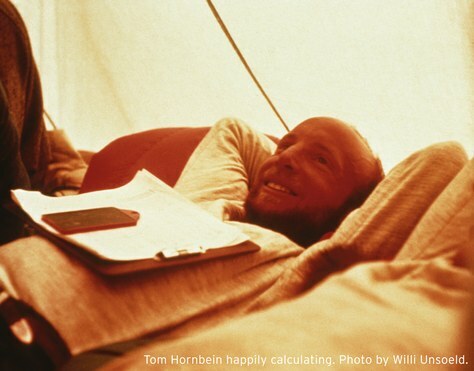 Three weeks later, Tom and Willi summited via the West Ridge, becoming the first people to pioneer the daring, new route. But the trailblazing climbs came at a high price. Early into the expedition, Jake Breitenbach perished when an ice wall collapsed. A ferocious windstorm nearly wiped out the West Ridgers. And an emergency bivouac at 28,000 feet cost Willi nine of his toes. Tom and Willi’s summit remains one of mountaineering’s greatest achievements. 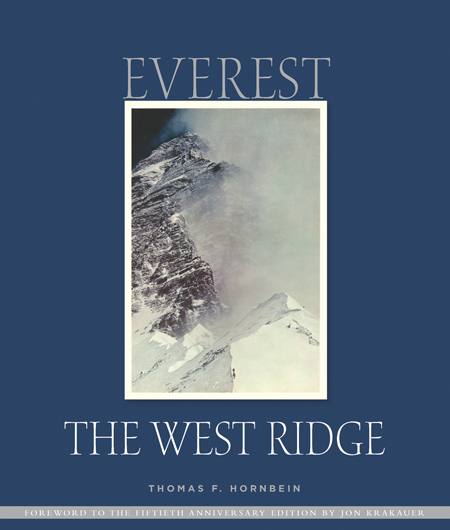 In 1965, Tom released a personal account of the journey called Everest: The West Ridge. 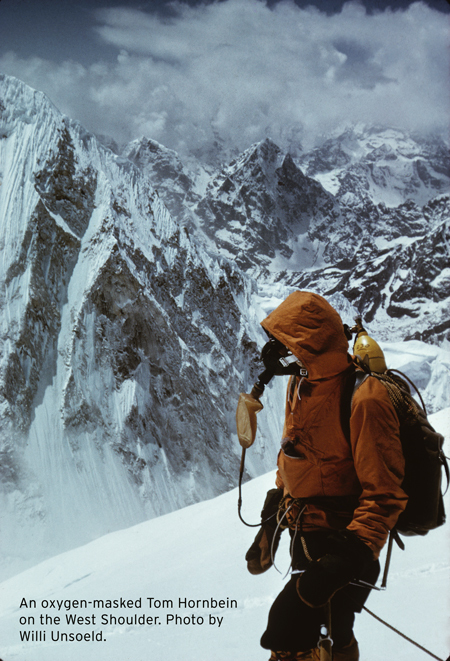 The most recent edition, published by Mountaineers Books in 2013, celebrates the 50th anniversary of the climb and includes a foreword by Jon Krakauer. At the time of its publication, only fourteen people had succeeded on the West Ridge. After Everest, Tom turned his focus to medicine, going on to chair the University of Washington’s Department of Anesthesiology. As a researcher, he published over a hundred journal articles and book chapters. His career carried him away from the limelight of climbing, but ever the mountain man, he continued to explore the Cascades near his home in Seattle, while enjoying the occasional trip abroad. “It was one the more formative experiences of my life. I didn’t want to write a heroic account. I wanted to write about how people coexist and function and work together and compromise with Everest as the stage. I wanted it to be fairly unassuming and real. Dave Brower of the Sierra Club was the editor of the first edition. Dave was a legendary force in the conservation movement. Working with him was an incredible experience with a great man." The Mountaineers is honored to present Tom with our Lifetime Achievement Award at our annual gala on April 14. This article originally appeared in our Spring 2018 issue of Mountaineer magazine. To view the original article in magazine form and read more stories from our publication, click here.